Melt butter in a small skillet and sauté jalapeno for 2 minutes. Transfer to a power blender along with Margaret Holmes Squash with Vidalia Onions and blend until smooth. Transfer squash mixture to a medium size saucepan along with the broth. Bring to a low boil then immediately turn heat to a simmer. Cook for 6-8 minutes then remove from heat. Stir in cream and transfer to a bowl. Allow to sit at room temperature for about an hour then place soup in the refrigerator for an additions 2-3 hours. 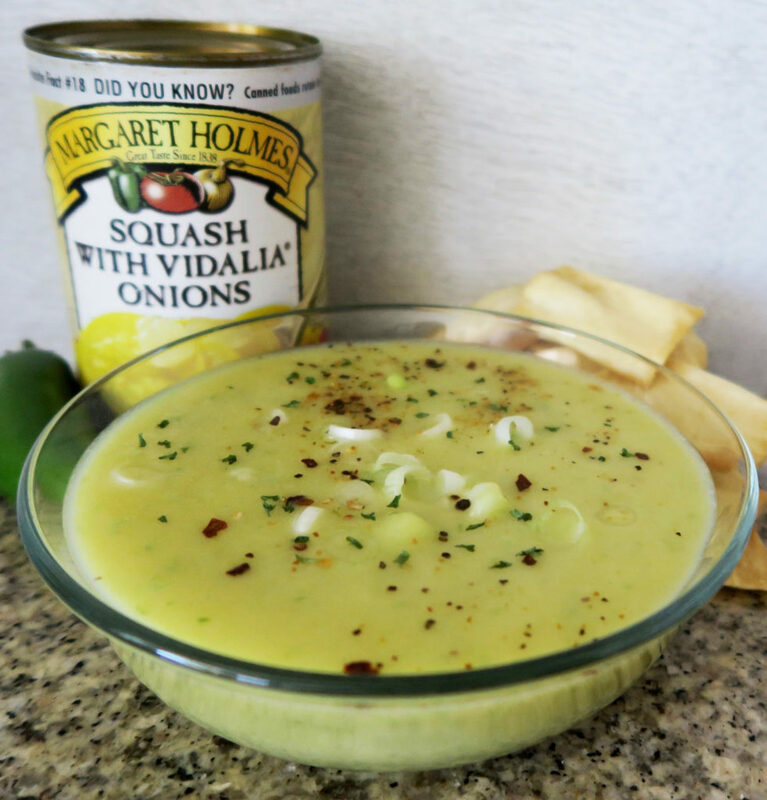 To serve, divide chilled soup into 4 soup bowls and sprinkle with scallions and vegetable seasoning. Serve with crisp pita chips or crackers.